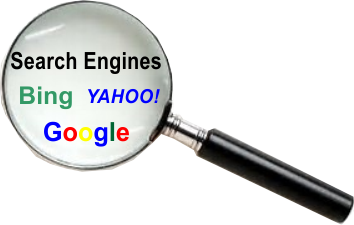 Submitting your blog for search engines indexing. Subscribe to our newsletter to receive updates delivered to your mailbox. You can equally join our WhatsApp group or Facebook Group for more conversations. Smartphones have been around for a few years now and have taken over the mobile phone industry. Every Big Guy would normally pose with his 'toy' to show off his level and class. These phones are driven by touch-based Operating Systems that allow users to make commands or inputs via screen touch. Most of them are powered by Android OS, though other OS such Chrome OS, Apple iOS and Mozilla have equally been used. Android’s Open Source project permits manufacturers to customise their OS, under the freeware license agreement, to adding features to their demands and make it suitable for their technologies. Nokia saw this to be useful in their development of Nokia X and XL. Now Infinix has followed suit by developing theirs using the license and decided to term it XOS Chameleon. Then, what is XOS all about? What are the differences it offers in terms of features and user experience? This and many others are what you will want to know. Maybe you want more insights on what this brand of OS is that makes it so pronounced by Infinix. In this post, I have provided this information (maybe answers) to all you need to know about this Operating System. Even though blogger boost of a very rich text editor and an interface for writing and publishing posts, there are periods when you might be on the move and an idea will just pop in for you to write an article on. It might even be a news or a discovery. The need to publish any of these as soon as possible could be there. Convenience might just be another factor, especially if you are away from your PC. You can use the alternative – a mobile phone or tablet to put down this idea. How will you use that? Mobile phones can be discouraging to use with blogger post writing interface. You definitely need an alternative idea that will work better and help you achieve the task of publishing that post. Only a few of us have discovered that you can publish your posts to blogger from anywhere using an email-supported mobile device. Therefore, in this post, I will take through the steps you need to publish posts to blogger using your email while on the go – maybe travelling, in a party with friends, at a colleague’s home, etc.